WILL LEBRON BE COURTED FOR A ROLE IN LAS VEGAS’ NBA OWNERSHIP GROUP? And that could lead to, in my opinion, the chance to be a part owner and the face of the Las Vegas NBA ownership group. He’s a perfect candidate: A guy with deep pockets, connections and a marquee name. And, of course, major Las Vegas gaming companies love marquee names and can be very persuasive. 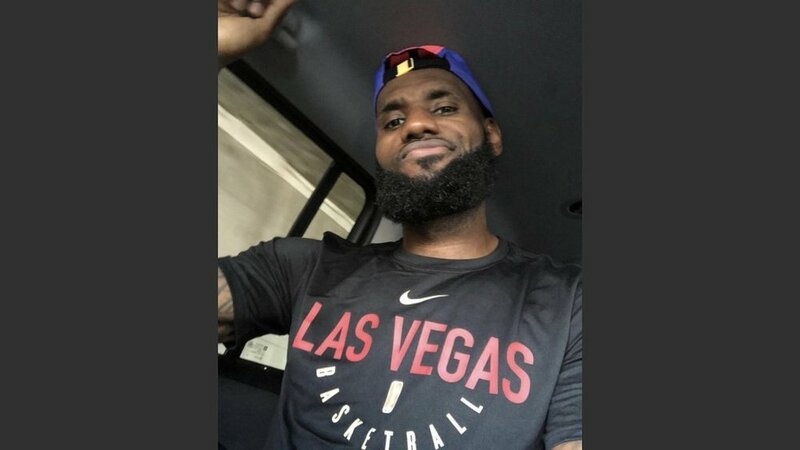 He was recently seen in Las Vegas wearing a Las Vegas Aces’ T-shirt. The WNBA team plays in the Mandalay Bay convention center. The property is owned by MGM Resorts International. Start connecting the dots with that hint. Illusionist Criss Angel made it official this week: December 19 will be opening night at his new location, Planet Hollywood. He’s ending his 10-year run at Luxor on Oct. 28. The show is being billed as an entirely new approach to magic. The Madonna birthday blitz will soon be upon us. The Material Girl, who moved to Portugal a year ago, turns 60 – that’s not a typo—on August 16. She shares the 18th century Moorish revival mansion with her family. It wasn’t that many years ago that she was asked if she would be interested in a Celine Dion-like residency. Her response: “That’s insane. I hate Vegas. I couldn’t bear it for five minutes.” But she didn’t mind swallowing her pride to pocket millions for the weekend engagement. As a longtime connoisseur of off-beat sightings, I found this one deep in the archives of the Las Vegas Sun, in Ralph Pearl’s “Vegas Daze and Nights” man-about-town column: “Elvis Presley’s in town at the Sahara, his favorite hangout, with five of his Tennesse buddies. Last night they had a ball when Elvis bought 20 pints of ice cream (he can afford it!) and went back to their suite. There was six different flavors.” -- from June 25, 1962.